It isn’t often that I find myself playing a game through gritted teeth. One Piece Unlimited Cruise SP had proved an irrevocably disappointing experience, so when One Piece Unlimited Cruise SP 2 landed on my doorstep I initially grumbled in disbelief whilst holding back fearful tears. Ever keen to approach each game on its own merits, however, I brushed aside such negative preconceptions and prepared to give it a shot. With so many issues prevalent within the original these would most likely have been addressed within the sequel, right? Wrong. With as much adoration as I have for Eiichiro Oda-san’s manga creation – the diverse crew of the Straw Hat Pirates, and, in particular the musings of Brook, an afro-toting living musical skeleton – One Piece Unlimited Cruise SP 2 fails to do it any justice. The script can be humorous in places, and the charismatic cast once again leverage as much enjoyment as can be had from this puerile experience, yet these continue to be the worst games that I’ve seen grace the Nintendo 3DS. What proves more confounding is that I know developer Ganbarion is easily capable of far more than this, evident through exquisite Wii exclusive Pandora’s Tower. Alas, One Piece Unlimited Cruise SP 2 is unquestionably horrendous, failing to address any of the issues that plagued its predecessor. With One Piece Unlimited Cruise SP, we said that it left “enough of a soured impression that you could be excused for celebrating the fact that once completed, if you make it that far, Awakening of a Hero isn’t patiently awaiting your further attention.” That nightmare has now become a reality. 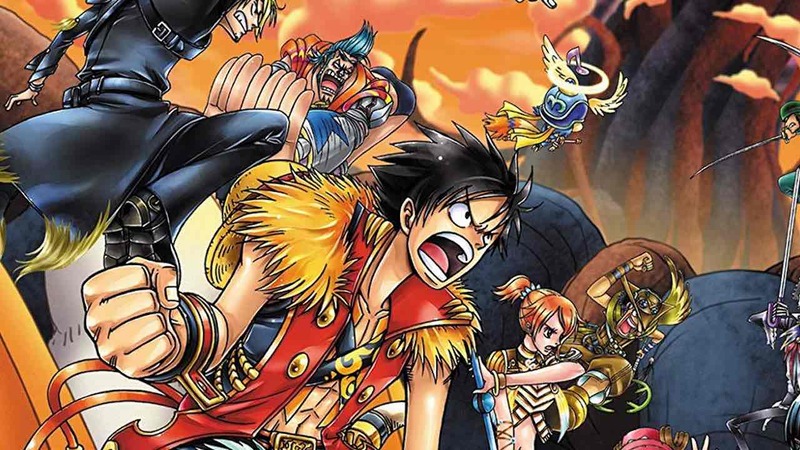 Treading familiar ground as before, this proves a sickeningly low effort port of 2009 Wii release One Piece Unlimited Cruise 2: Awakening of a Hero, at least granting players the opportunity to conclude the events of the storyline. In recycling assets, environments see marginal improvement yet largely remain bordering on tedious and uninspired. Frame rates stutter, the camera is shockingly bad, and the stereoscopic 3D effect is implemented in such a way that even the strongest of eyes will find it hard to focus. This is every much a collect-a-thon as One Piece Unlimited Cruise SP, players dashing around the trial islands to find items and crafting materials that must be ingested by Gabri to allow you to unlock new areas. Lack of instructions once again rear their ugly head, and you’ll soon lament ever complaining that games hold you by the hand too much. Running around aimlessly is most certainly not the best way to elongate game length. Combat similarly remains laughably dull, the player repeatedly hammering A to mindlessly batter equally mindless enemies – useless Mud Puppets being the most common. Moves can be upgraded, and, eventually, you’ll be able to employ the use of each characters signature move later down the line. However, with general enemy AI less than taxing, simply dodging combat situations wherever you can become the far more preferable option. As with One Piece Unlimited Cruise SP, the game redeems itself through the separate Marineford mode. These chained arena battles are far more successful in implementation than that of the central game, largely due to the fact these were developed specifically for the Nintendo 3DS, seeing the player moving between ‘Battle Points’ as they fight against individual opponents. As before, it will be the fans that will get the most out of One Piece Unlimited Cruise SP 2. Yet even they will find themselves fumbling on their very own real-life treasure hunt to discover the mere scraps of likability that the game has to offer.